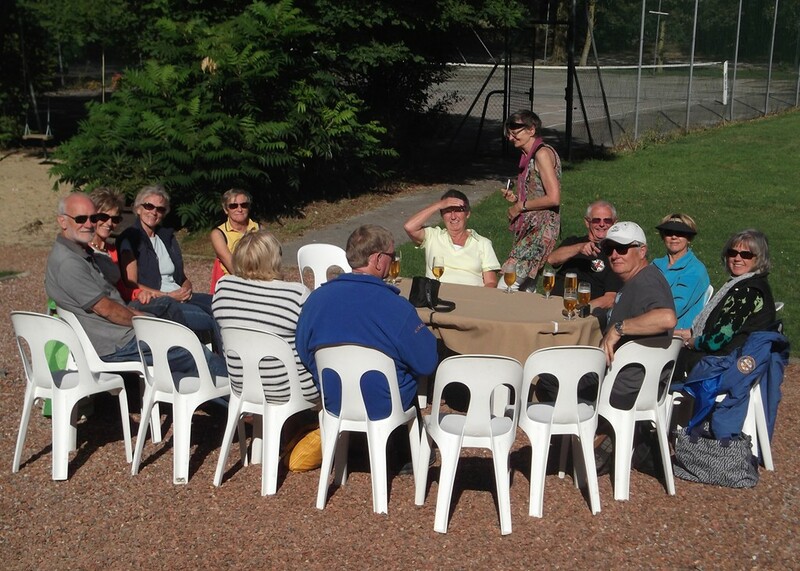 Sabra / Sabres-meeting in the North of France August-September 2013. Jacques found a nice region quite close to all of us. The hostellerie du Chateau des Tourelles, www.hotel-le-wast.com is situated in Le Wast and has some 29 rooms, André (connoisseur) had advises to take this hotel. On Friday we were already getting in the mood. Saturday we headed for "La Coupole", an impressive but never finished launching base for V2s. Saturday afternoon up to Clairmarais, moores that were developped by digging canals and by dropping the fertile slime on the higher land. Lunch and then we had a boat trip through the moors. Saturday evening the traditional banquet. Bernard gave us a well appreciated connoisseurs' explanation about French cheese. Afterwards a visit to the "Musée de la Céramique". Thanks Jacques, it's not obvious to arrange a meeting 350km away from where you live.